A few years later, Fitzgerald scribbled on the top corner of the letter’s first page, “Basis of Bernice.” The reference is to “Bernice Bobs Her Hair,” a 10,000-word story he drafted in 1919 that contains, in altered form, some of the very material he included in his letter to his sister. Fitzgerald sent the story to various magazines, including Women’s Home Companion, and it was met with rejection notes. In response, he cut nearly a third of the manuscript and completely rewrote the ending, making it “snappier”; it was accepted the following year by The Saturday Evening Post—the fourth of his stories to appear in the magazine and the first to earn him a mention on the cover. 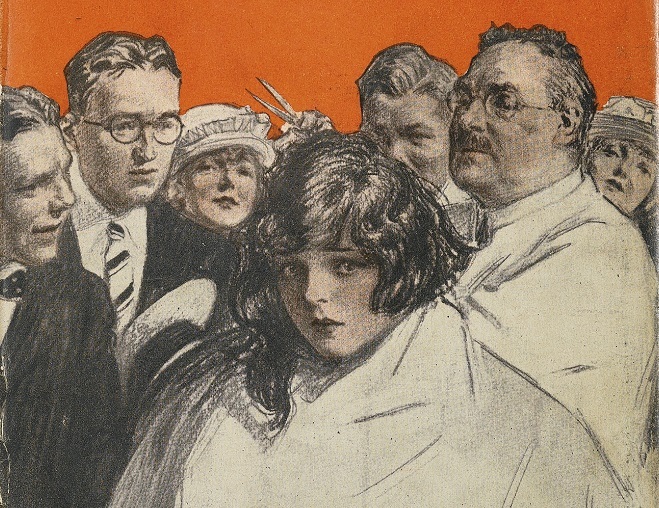 He included it in his first story collection, Flappers and Philosophers (published that same year, 1920), and the book’s dustjacket illustration is of a pivotal scene from the story. Notes: On page 361 is a reference to the works of Annie Fellows Johnston, a widely read author of children’s fiction during the early decades of the 1900s. The quote by Oscar Wilde paraphrased on page 370 is from A Woman of No Importance. After dark on Saturday night one could stand on the first tee of the golf-course and see the country-club windows as a yellow expanse over a very black and wavy ocean. . . . If you don't see the full selection below, click here (PDF) or click here (Google Docs) to read it—free! A great story of vengeance! The intolerable patronising attitude, pretensious nature as a do-gooder of Marjorie is exposed beautifully. The reader cannot but help sympathise with Bernice who is outwitted and who in turn,outwits Marjorie. What is there to say about the craftmanship of Scot Fitgerald? It is masterly and the author's sarcasm about the craftiness, shallowness of human beings ' on the hunt for mates' can be felt between the lines. 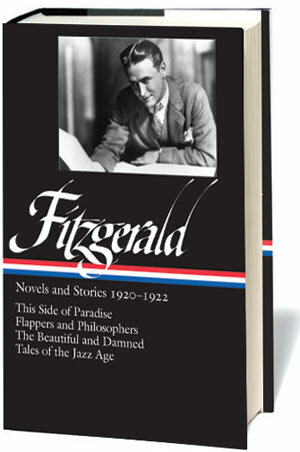 I don't think that Fitzgerald ever quite believed how incredibly gifted he was. He was/is one of the greats, one of the 4 or 5 American authors who really matter. He gave us so many gifts, This story is just one of the many writings that can be read and read again. Thank you LoA and FSF. I think it's interesting that the title can be seen as having a double meaning. Bernice bobs her hair, but she bobs Marjorie's hair, too. "Her" can mean both Bernice and Marjorie.